Used for many types of minor problems, but especially useful for smelly ears, particularly those with a discharge and accompanied by a strong smell. 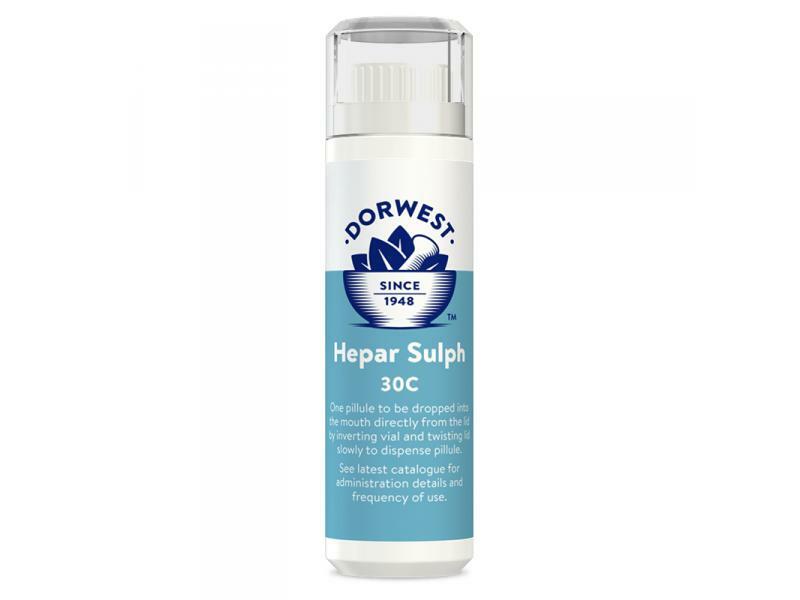 They are also used to soften, help prevent and slow down the formation of tartar on the teeth. The administration size is always the same for any size or breed of animal but the frequency of administration varies according to the condition being treated - Give one every 2 hours for up to 6 hours, then reduce to one 4 times per day for 7 – 10 days or until symptoms disappear. For persistent problems this may be repeated monthly if required. It is preferable, but not essential, to avoid giving homeopathic substances within 15 minutes of food or drink. Having taken advice from today's foremost homeopathic vets, we are pleased to be able to reassure clients that there is no need to discontinue giving garlic in any form while also giving homeopathic substances. Each dispenser contains approximately 100 pillules and is unique as it enables the tiny pillules to be administered straight into the mouth of the animal without being touched by the hand, as this should be avoided when giving homeopathic substances. 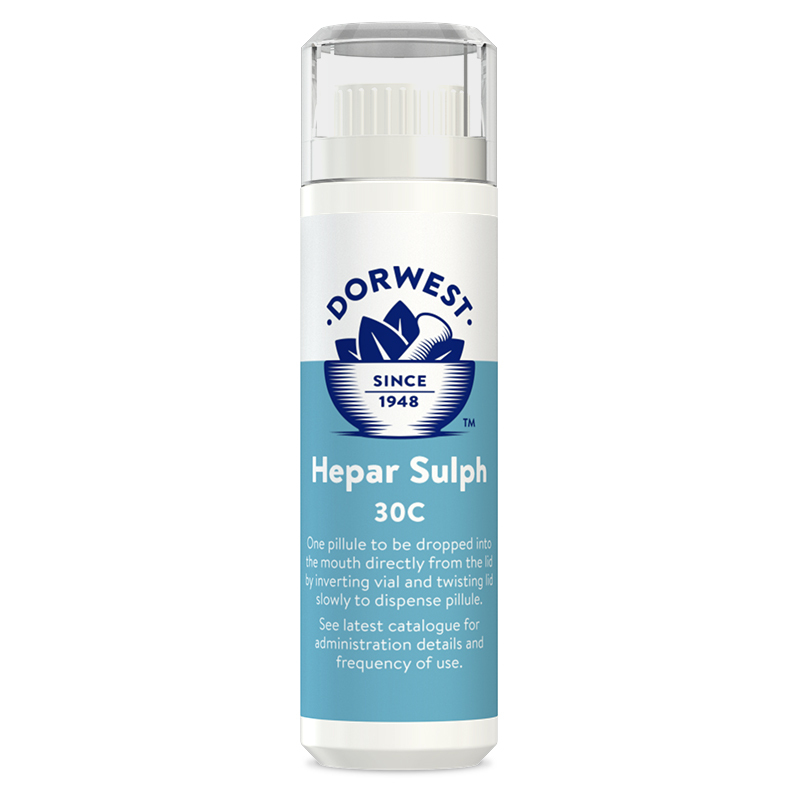 There are currently no questions for Dorwest Hepar Sulph Homeopathic Vials - be the first to ask one!